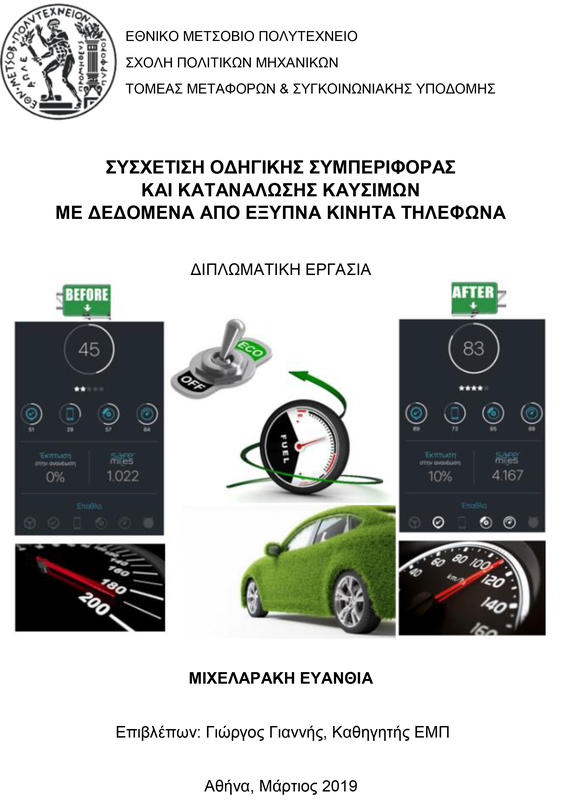 Eva Michelaraki, “Correlation of driver behaviour and fuel consumption using data from smartphones”, Diploma Thesis, NTUA, School of Civil Engineering, Athens, March 2019. The aim of this Diploma Thesis is the correlation of driver behaviour and fuel consumption using data from smartphones. To achieve this objective, data collected from 17 drivers who participated at a naturalistic driving experiment for four months are analyzed. During the first two months, participants drove in the way they usually did and over the following two months they were invited to improve their driving style, following strictly the Road Traffic Code. The analysis was carried out with the use of statistical methods of linear and lognormal regression. 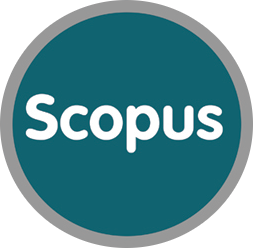 Through the regression models it was examined whether driving characteristics recorded by smartphone sensors affect and can therefore predict fuel consumption. In order to analyze the available data, four statistical regression models forecasting fuel consumption were developed: one general model and three models for each road type (highway, rural, urban). The results demonstrated that there was a remarkable reduction in fuel consumption, by improving the way participants were driving and also a smoother and a greener driver behavior was achieved. A stronger correlation has emerged between harsh accelerations and fuel consumption, but also speed, braking, smartphone usage while driving, driving at night and demographic features had a direct impact on fuel consumption.